Masquerading as “humanitarian intervention,” Washington launched full-force barbarism on six million Libyans, all endangered by America’s latest intervention. More on how below. Beginning March 19, it was visible. However, months of planning preceded it, including US and UK special forces and intelligence operatives on the ground enlisting, inciting, funding, arming and supporting violent insurrection to oust Gaddafi and replace him with a Washington-controlled puppet like in Iraq, Afghanistan and elsewhere. “The entire modern professional class is targeted (and) replaced by retrograde religious-ethnic clans and gangs, susceptible to bribes and booty-shares. All existing modern civil society organizations are pulverized and replaced by crony-plunderers linked to the colonial regime. The entire economy is” disrupted by “shock and awe” bombings and ground attacks, affecting essential civilian infrastructure on the pretext of destroying military and “dual use” targets. As a result, mass casualties follow, many post-conflict from disease, homelessness, starvation, depravation, and environmental contamination. All wars are ugly, especially modern ones Washington wages, unleashing full force human and overall destruction, mostly affecting noncombatant men, women and children – imperialism’s hidden victims. Already, unknown hundreds of Libyans have been killed, wounded, or disabled, besides countless numbers affected overall. Expect much worse ahead, including violent, US-backed proxy insurgence, perhaps later joined by Pentagon troops if current air and ground attacks don’t accomplish “Operation Odyssey Dawn’s” objectives. Effectively, UN Resolution 1973 authorized war, not peace. Moreover, it denied a sitting government, despotic or otherwise, the right of self-defense. A Western-backed insurgency initiated attacks, permitting a head of state to respond. Further, the UN Charter explains under what conditions intervention, violence and coercion are justified. None exist in Libya. In addition, Article 2(3) and Article 33(1) require peaceful settlement of international disputes, not “shock and awe” attacks. Article 2(4), in fact, prohibits force or its threatened use, including no-fly zones that are acts of war. Further, Articles 2(3), 2(4), and 33 absolutely prohibit any unilateral or other external threat or use of force not specifically allowed under Article 51 or otherwise authorized by the Security Council – that may not violate its own Charter. In fact, Washington bullied enough members to do so, planning naked aggression in response. Ostensibly to protect civilians, Resolution 1973’s paragraph 4 authorized Member States “to take all necessary measures….” As a result, a giant interventionist loophole was created they knew Washington would exploit. Under paragraph 6, moreover, “establish(ing) a ban on all flights in the airspace of the Libyan Arab Jamahiriya in order to help protect civilians,” in fact, harms them by US “shock and awe” attacks. Further, paragraph 7’s authorization for “flights whose sole purpose is humanitarian” denies them because Pentagon-controlled airspace will destroy any encountered Libyan aircraft, claiming it hostile, not delivering food, medical or other essential supplies or personnel. In addition, supplying insurgents with weapons and munitions violates paragraph 13, “Call(ing) upon Member States, in particular States of the region, acting nationally or through regional organisations or arrangements, in order to ensure strict implementation of the arms embargo established by paragraphs 9 and 10 of resolution 1970 (2011), to inspect in their territory, including seaports and airports, and on the high seas, vessels and aircraft bound to or from” Libya. In fact, besides covertly supplying its own weapons, Egypt, Saudi Arabia, and perhaps other regional and/or NATO countries are arming insurgents, at the behest of Washington – violating Resolution 1973. As a result, Libyans are at the mercy of US imperial aggression, disdaining all international laws, principles and standards. At war, Washington causes mass casualties and destruction. Now begun, expect much more ahead. In addition, “coalition” participation is fig leaf cover for US aggression. AFRICOM’s General Carter Ham has full command authority, directing UK, French and other belligerent partners, besides America’s full air, sea and ground might. Expect protracted conflict, perhaps “boots on the ground,” putting a lie to Obama’s promise for “humanitarian intervention” to end in “a matter of days, not weeks.” Already, insurgency has been ongoing for weeks, perhaps months covertly, the worst yet to come, but already conditions are bad. They always are when Washington arrives. Since the 1991 Gulf War, Washington used nuclear weapons covertly – in depleted uranium (DU) form. Contaminating exposure is deadly. All US missiles, bombs, and shells have solid DU projectiles or warheads in them. Even bullets because in all forms, DU-tipped munitions easily penetrate armor, irradiating air, ground and water when used. DU, in fact, painfully kills from later contracted illnesses and diseases, including cancer and many others. When weaponized DU strikes, it penetrates deeply, aerosolizing into a fine spray which then contaminates wide areas. Moreover, its residue is permanent. Its microscopic/submicroscopic particles remain suspended in air or swept into it from contaminated soil. Atmospheric winds then carry it far distances as a radioactive component of atmospheric dust, falling indiscriminately to earth and water. Virtually every known illness and disease may result from severe headaches, muscle pain and general fatigue, to major birth defects, infection, depression, cardiovascular disease, many types of cancer and brain tumors. As a result, permanent disability or death may follow. As a result, commanders up the chain of command, including civilian ones to the highest level, authorizing DU weapons use for any purpose are war criminals. Moreover, under various UN Conventions and Covenants, weapons causing post-battle environmental or human harm are banned. Nonetheless, Washington uses them indiscriminately, including DU. As a result, millions of Iraqi, Serbian/Kosovar, and Afghan nationals, as well as belligerent US troops have been gravely harmed, yet Pentagon and administration authorities deny all responsibility. Libyans will now be victimized by DU poisoning. Wherever it strikes and spreads, it’s unforgiving, disabling and deadly. If enough is used, a future cancer epidemic will follow, too late to help those harmed. Helen Caldicott calls radiation a “Destroyer of Worlds,” doing it by killing people silently, painfully, illegally, and at times genocidally. Under Bush, Obama or anyone else, it does what it pleases – the law, human welfare, and environmental considerations be damned. On March 21, Reuters said missile and air attacks on Libya continue. The New York Times headlined, “Allies Target Qaddafi’s Ground Forces, but Resistance Continues (unconfirmed) Reports Say.” The Washington Post said, “Libyan rebels launch offensive; coalition pounds Gaddafi forces,” that may be observing a ceasefire. Al Jazeera reported “Rejoicing in Libya’s Benghazi,” continuing its biased war reporting, siding with anti-Gaddafi forces. In contrast, independent web sites, analysts, and on-air programming offer detailed, truthful information, including the Progressive Radio News Hour this writer hosts on the Progressive Radio Network.com, featuring distinguished guests, dominant media sources spurn. — unconfirmed Libyan sources claim five “coalition” jets downed, three attacking Tripoli, two others over Sirt. March 22 marks day four of a protracted conflict. It’s certain to cause widespread deaths, injuries, disabilities and destruction. It’s assured when America arrives – on cruise missiles, bombs and shells, not white horses promoting peace and democratic values, what all US administrations disdain. A quick update, I have been on holiday for the last couple of weeks, a break was needed to simply get away from work and studying. I’m going to confess that during the break I did absolutely nothing, that’s right ‘nothing’ at all apart from follow Cricket World Cup and read a few books. I’m back now and I will start to blog again, more frequent than before. One important development from which I couldn’t break away from was the unrest in Middle East. I guess no one could break away from what is happening there right now. Are we seeing the birth of a New Middle East – a Middle East which is free from dictators or are we simply seeing one dictator being replaced by another cunning one? Now that I am in front of a computer and have access to the internet I will be looking into this tsunami of demonstrations which are rattling decades of dictatorship rule. The regular news channels have become less reliable in recent years simply because in the rush of being the first to make a ‘breaking story’ some information is inaccurately reported and by the time they realise the fire has already spread. So I prefer to read alternative news mediums, blogs and firsthand accounts of people followed by videos from people on the ground uploaded to Youtube and alike. Whatever is happening out there in Middle East has direct effect on us living in the UK or the west, you probably have noticed that already the prices of fuel at the pumps has hit £1.30 a litre which is a record – and as more events unfold this is likely to get worse. There has been much debate between governments in the West about creating a ‘No Fly Zone’ over Libya and the likelihood of military intervention if demonstrators are killed much like how Saddam Hussein did to the Kurds. Personally I think it’s too early for talk about militarily intervention – but this could all change if the death toll of demonstrators continues to rise and if oil is used as a tool by Libya’s leader to fight growing international pressure. Other than that, I hope to publish more content for this blog and I hope to catch up with you all soon. Egypt Liberated by Pure People Power. I’m on the move but could not resist to write a quick post on this. 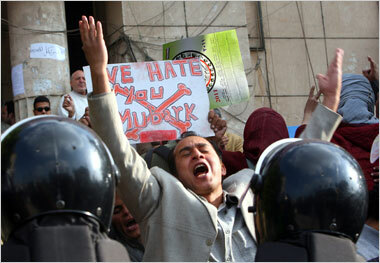 30 years of Mr Mubarak dictatorship comes to a sudden end by only two weeks of people power. A strong message has been sent around the world, the real awakening by the people of Egypt has demonstrated what can be achieved by uniting under a common cause. Call this a revolution or not, the lives and blood of those who were part of this struggle has paid off, the fall of Mr Mubarak is no doubt a call for celebration for the people, a example for other nations in other countries ruled under similar rule, but a big worry for Israel, Saudi Arabia and alike. I applaud the way the Egypt revolution was mainly peaceful and if there was any sign of violence it was by loyal to Mubarak Police department and state sponsored clam down on peaceful protesters. The revolution started first in Tunisia has caught on to the neighbouring countries like a wild forest fire, no one knows where it will end, but one thing is for sure it will create a new Middle East where the people are ones who make the decisions. 2011 has turned out to be a year for revolutions, a year for the real change. Following on from Tunisia public awakening or rather up rise against their government has had a knock on affect in surrounding countries. The news mediums are busy as ever reporting on demonstrations against Egypt’s government – what little trickles out is a blessing as the 30 year dictatorial regime of Mubarak comes to an end – and communications mediums are taken down by the government in an attempt to control the situation ahead of the world opinion. It’s becoming more and more difficult in imagining how Hosni Mubarak will be able to suppress this latest mass up-rise of its people. Three decades of dictatorship is now being challenged by the common man. I will be amazed if Hosni Mubarak stays in power for much longer. Friday demonstrations were feared the most, as the Mosques in Egypt are full with both men and women during the afternoon prayers. This will have a profound affect on other neighbouring countries, countries who have a similar or poor government – not keen on listening to the public. I guess they are making their own preparations to counter any similar anti-government demonstrations. It is largely believed that, in that part of the world such public awakening catches on quick with neighbouring countries. I am particularly interested in how Egypt’s or rather Hosni Mubarak allies in the region will react to these turn of events – Israel in particular have used Egypt in the past to broken deals with other Muslim countries in the region – bear in mind the general population of Egypt is anti-Israel, some who fail to recognise Israel as a legitimate state. It will be interesting to see how Israel views the revolution folding in Egypt as Mr Mubarak was critical in Israel and Palestinian peace process. Could this be a start of a regional revolution? A revolution which rejects western imposed dictators after World War One and Two – and supports a change in favour of Islamic religion and local culture. This part of the world is strategically very important and the west will be dragging their feet in supporting Hosni Mubarak especially if the signs are there of his dictatorship coming to an end.